The Los Angeles Rams and New Orleans Saints are taking on one another Sunday afternoon in a game with obvious playoff implications. At 8-0 on the season, Los Angeles remains NFL’s sole undefeated team. Meanwhile, Drew Brees and the Saints are 6-1 on the year and have won six consecutive games. Tied at 14 early in the second quarter, officials calling the game inside the Superdome decided to make news for all the wrong reasons. On fourth-and-4 from the Saints 16-yard-line, the Rams attempted a fake field goal with Johnny Hekker. It appeared initially that the punter had gained enough yardage for the first down. The officials initially marked him short of the yard to gain marker. But head coach Sean McVay and the Rams decided to challenge. Unfortunately for the road team, the play stood as called. Needless to say, fans and others from around the football world had some pretty amazing reactions to the officials blowing this call. Ooh … I dunno. Hekker might've got that. Hekker got the first down. That is an absolutely horrid spot by the official. Hekker clearly cleared the marker before going down/out of bounds. What are we doing here? 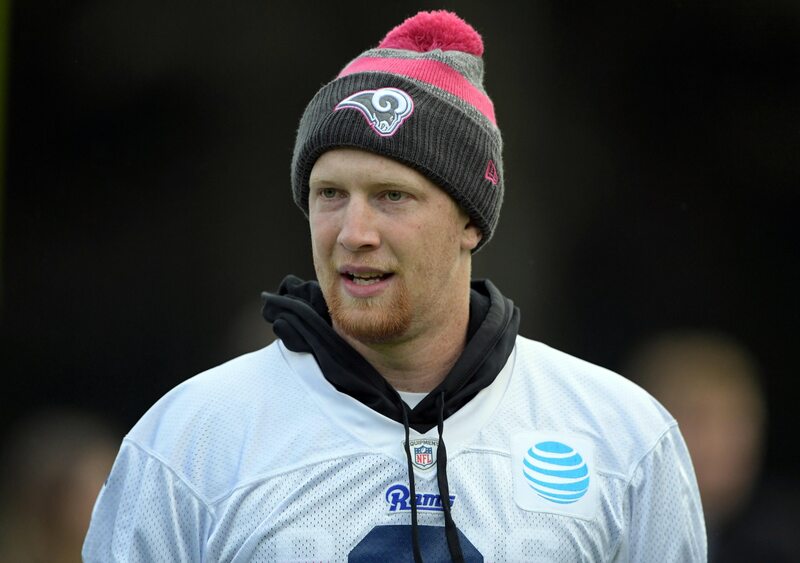 Hekker definitely gets the first down. It really wasn’t that close if they looked at the right angles. Not sure what they were looking at. The original spot was absurdly short. In a game like this, bad officiating will drastically impact the results. We already saw it from that terrible call on Hekker. Regardless, super fun start to the game. New Orleans ultimately drove down the field 87 yards on its next possession for a touchdown to take a 21-14 lead. It’s plays like these that can change the entire dynamic of the playoff race. Having an ability to review the play, there’s no excuse for the officials dropping the ball here. Period.